There’s a new festival coming to the Bay Area! 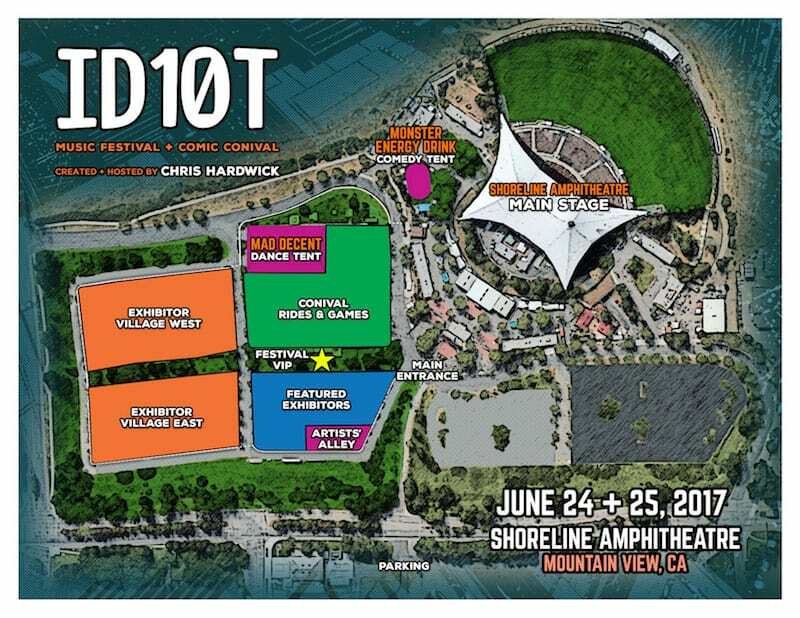 Hosted by Chris Hardwick, the ID10T Music Festival + Comic Conival will take place on June 24th & 25th in at Shoreline Amphitheater. Get ready to enjoy a weekend of music, comics, gaming, comedy, technology and pop culture! NEED A RIDE TO THE FESTIVAL? Hop on the M Ride San Francisco Party Bus. Tickets on sale Friday, March 10 @ 10am.